The unique rotating vinyl mechanism holds 70 records and can play both A and B sides (140 selection). 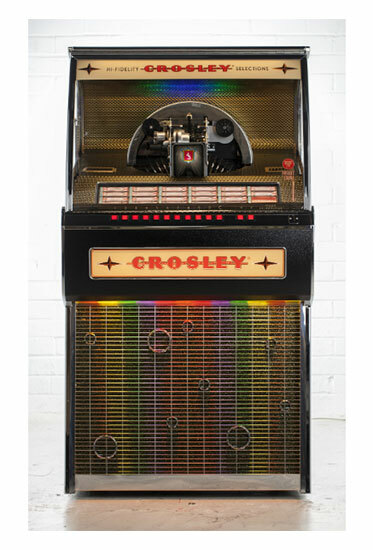 The Jukebox features a revolving title rack that allows you to easily select your favorite record and our label magic software enables you to create your own labels each time you update the machine with your favorite vinyl. Record selections can be made directly from the button bank on the machine or via the remote control that also controls the volume, shuffle play and record reject.